Make your own seasoned rice mix so you always have some on hand. You can control which spices and herbs you use, and also control the sodium content, which is out of sight in purchased mixes. You can use white or brown rice in this recipe. The only difference between brown and white rice in this recipe (besides the fiber content and some nutrition) is in the cooking time. Store this mixture in a dark cool place, in a tightly sealed container, up to six months. For four servings, you'll use one cup of the mix and 2 cups water. You can also use chicken stock, beef stock, or vegetable broth to cook the pilaf for more flavor. 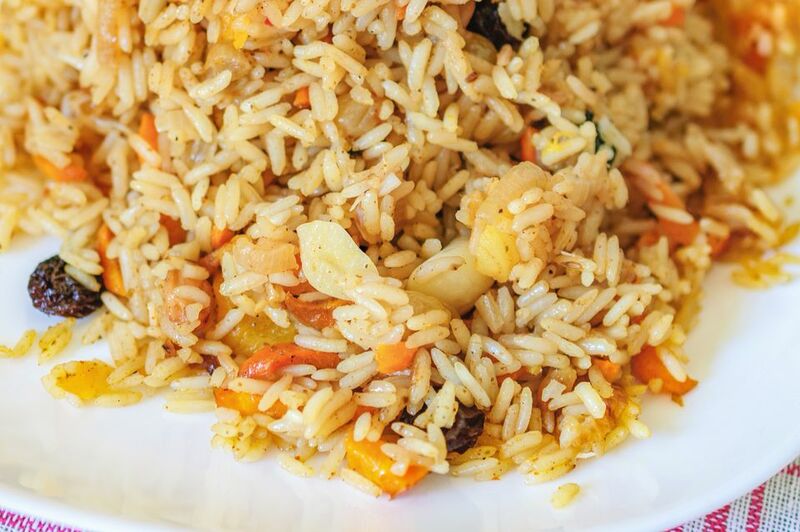 Serve this easy pilaf along with a roasted chicken or meatloaf for a satisfying dinner. Mix the rice, dried parsley flakes, bouillon powder (if using), onion powder, and thyme leaves until combined. Pour into a tightly sealed container, and store up to 6 months. To use the pilaf, in a medium saucepan, bring 2 cups water and 1 tablespoon butter to a boil. Stir in 1 cup seasoned rice mix, reduce the heat, cover, and simmer for 15 to 20 minutes for the white rice, or 30 to 40 minutes for the brown rice, until the rice is tender and liquid is absorbed.